I have been working with him recently to help me up my game in the open water. He has also been helping me to update my very outdated swim technique and sprint skills. 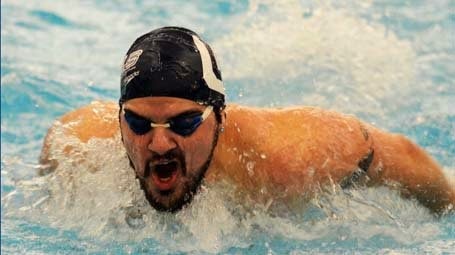 He coaches the Tuesday and Thursday morning Masters' workouts at the MCAC and just recently started coaching private lessons for all levels of swimmers. I decided to interview Jeremy for my blog because I think he is a great resource for the triathletes in Charlotte. So here we go . . .
Tell us a little about your swim background. -Well, in a nutshell...I grew up on the coast in Washington State. My mother made me take swim lessons before I was allowed to play in the ocean and go past my knees lol. Lessons brought me to a swim team, one team to another and I was fortunate enough to be surrounded by a lot of talent and hard workers. Earned a swim scholarship at Auburn University as well as competed for USA at Open Water World Championships. What got you into open water swimming in the first place and why are you transitioning back to it? -My coach made a living as a professional open water swimmer, way back in the day. And back in 2001 we flew out to Fort Lauderdale, FL at the Swimming Pool Hall of Fame for Summer Nationals. It was a pleasure to watch such fast swimmers. After the pool competition, I entered the open water event and placed 9th. It was the absolute most fun I had ever had up to that point swimming, swimming in the ocean makes me such a happy camper. I am transitioning back into, because I love it. I am not even sure if I can put it into words, it is just a sensation that I don't get in the pool. Swimming back and forth, same line, same walls, it's....ok. I have never had a bad day swimming in a lake/ocean. Can you train for open water events in the pool? -Of course. Being creative is half of the fun. Hard work is...just that, hard work. It is nice to get out of the chlorine and enjoy some Vitamin D though. Do you wear jammers or briefs? -HA neither I suppose. In workouts I prefer a square leg drag suit. In swim meets I prefer the fastest material I can use which is usually cut into a jammer. 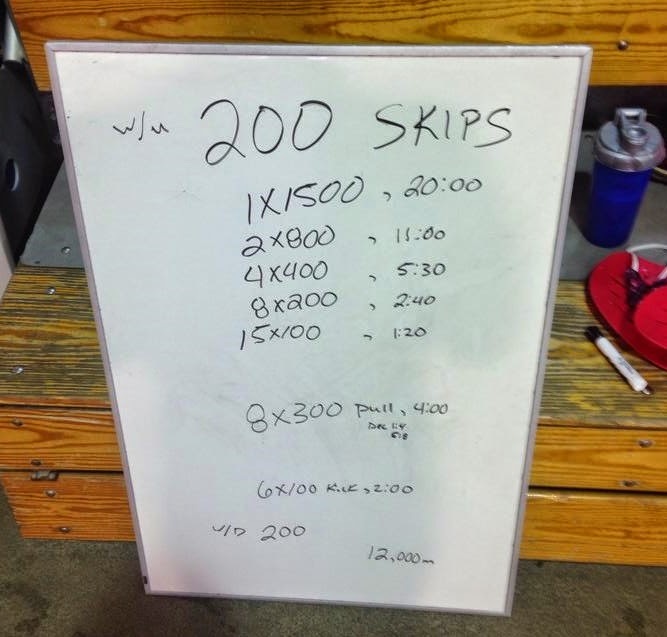 What are your current goals with competitive swimming? -Get into a shape that isn't round. HA I have become a lot more consistent with my swims, and am slowly transitioning my work schedule to better accommodate the training necessary to compete at the highest level for Open Water. This time next year ( I know a long way away) I would like to be back and fully ready to compete at Open Water Nationals. 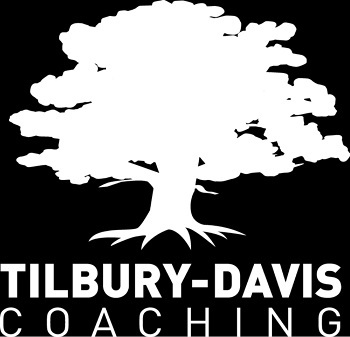 What is your specialty as a coach? -That is hard to say, I would hope most of my athletes would say something along the lines of being very personable. I believe that the road to success, while very similar, can be different for each athlete. Just because athlete 1 needs to do this, doesn't mean athlete 2 does, etc. etc. Have any favorite open water tips and tricks? Triathletes love drills. What is your favorite drill and why? -Absolutely love sculling drills. Makes your body completely aware of the positioning in the water. The better you 'feel' the water, the easier it will be for you. Are there ways outside of the pool to increase ankle flexibility? -Stretching is the easy answer. It would depend on what the athlete is looking for though. A swimmers ankle is going to be very different from a Triathletes ankle. I am a fan of writing the alphabet with your toes to stretch and strengthen necessary muscles. Is more really more? Even in the swimming world there is a constant debate regarding quantity (volume) vs quality (less volume higher intensity). What is your opinion on this this and should triathletes incorporate both? -Love this question, it opens some interesting conversations. To be brief, and granted it is only my opinion, quality is better then quantity. Each person has a different scenario, but studies show that quality over quantity yields great results in 1. Aerobic fitness 2. Anaerobic fitness 3. Fat Loss.... etc. etc. If it is a situation where one really does need 'more', then increasing the quality will yield better results in less time. If you were to layout a workout for a triathlete training to be competitive in the 1.2 or 2.4 miles swim segment what would it look like? -To be vague, a loosen up. A pre-set to get the heart rate elevated. A main set with repeats of shorter distances, and a cool down. What are some swim specific recovery techniques? -Swimming with equipment, makes life easier while allowing you to hold a solid body position, hence still working the stroke to improve yourself. In your opinion discuss a major misconception triathletes have about their swim training. -That they only need to do it sparsely. I am no Pro triathlete coach, never claimed to be one. But swimming is a skill that you can only practice, in the water. Walking around the house, to work, getting groceries and all that, it's not training to run, but it is specific movements that correlate. (Same gravitational pull ect.) We studied this at school in the physiology lab and discovered it easier to swim, and learn to run. Then run, and learn to swim. People come to you from all levels of fitness and swim backgrounds, what kinds of things can a beginner do to gain confidence in the water? -Be in the water. Time in the water is one of the most undervalued resources. People always want instant gratification. You don't get that with swimming. If you want to gain confidence, get in a pool. You don't necessarily need to swim your heart out every time, just get in and get moving. What is a drag suit? Is this something people should incorporate in their training? -A drag suit is a glorified speedo/brief. Usually just a bit bigger, saggier, causing more resistance in the pool. In general I believe there is a certain place and time for everything, and drag suits can be used very effectively. 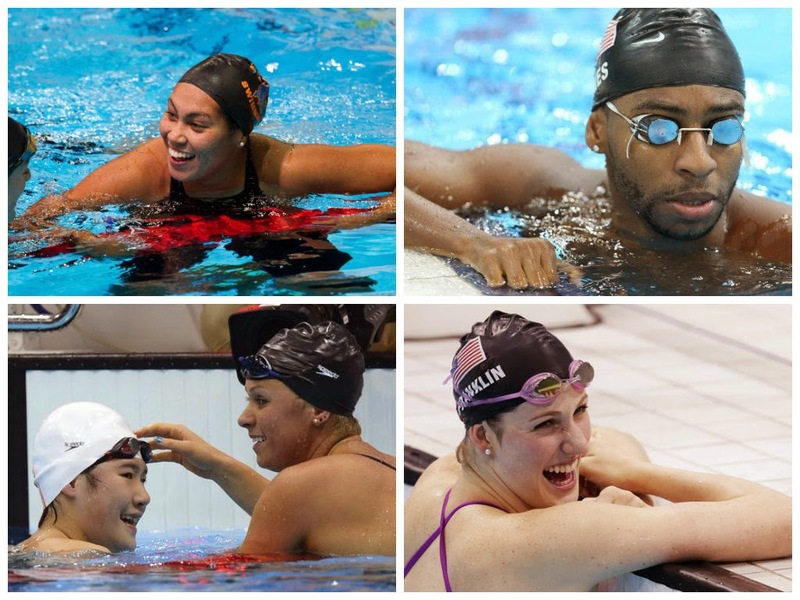 I have noticed swimmers love to wear earrings, including you. Don't they slow you down? -Ha I suppose they do. I don't believe it is a make or break deal, unless you are competing at the absolute highest level, where .001 of a second makes the difference. I train with mine in, but when it is show time, I usually take them out. You are available to teach one-on-one lessons at the MCAC. What is the best way for an athlete to get in touch with you? Snapchat? I respond to emails, texts, and calls. Do you enjoy using "emoticons" when you text? What I am into right now . . .
Caturnalia: Distance makes the heart . . .